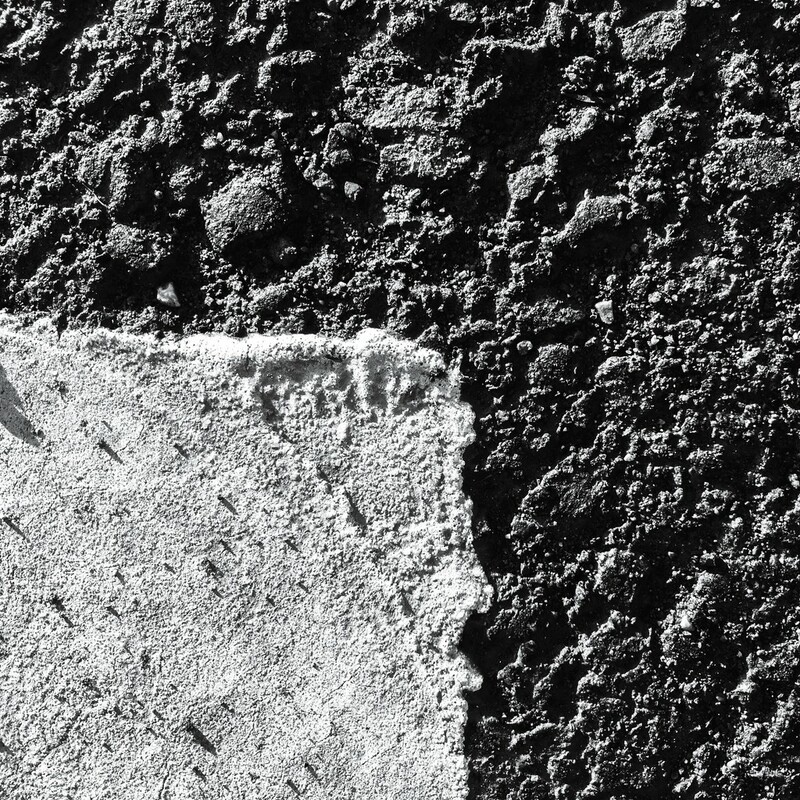 Tarmac and road-marking textures, enhanced by the low angle of the Sun. Taken in the Carpark at work, not in the middle of the road, by the way. Think they should get the heavy roller on that. @dave1947 ha ha, I’ll have a word with the construction team Dave. It’s our site offices, at a Welsh Water treatment works, we are doing a design and build for Sludge Processing Plant. I’m a CAD designer on the project. I really enjoy your texture pictures! You have a way of making ordinary things look beautiful. @jenp thanks Jennifer, very kind of you. Makes for an interesting abstract. How often do you have to replace your tyres? @stray_shooter thanks Ron, it’s actually not as rough as it looks, the area in the shot is about an inch square... the track onto site is another story! @moonbi cheers Jason, very funny. Brilliant! Love this! Perfect for both the theme BnW and flash of red! @elatedpixie thanks for the Fav.